Here at Pharmacist Support we are limbering up for another busy year and have some incredible challenges and events happening up and down the country. 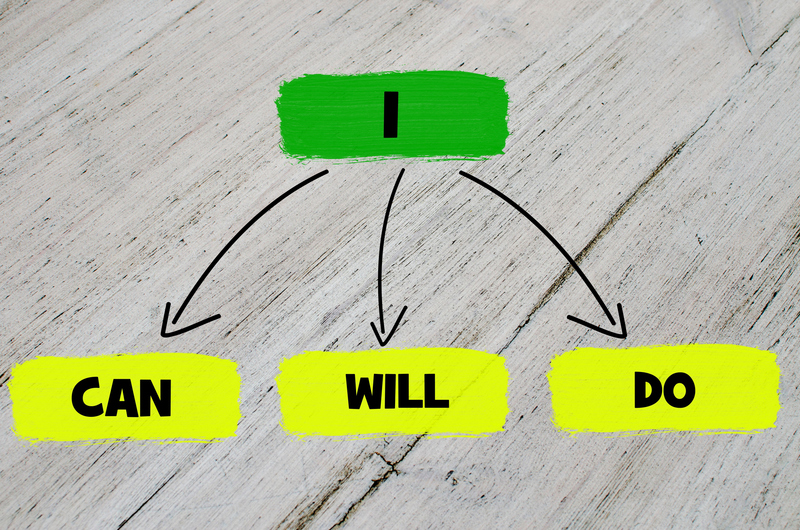 Yes, we know it’s hard to get motivated in these dark, cold and very damp winter months, but if its inspiration you seek – we have it here in droves! We have the most amazing supporters here at PS who just continue to astound us with their creativity and enthusiasm. Check out this crazy bunch who have grabbed January by the horns and are driving (cycling & running!) our 2018 fundraising efforts from the front. 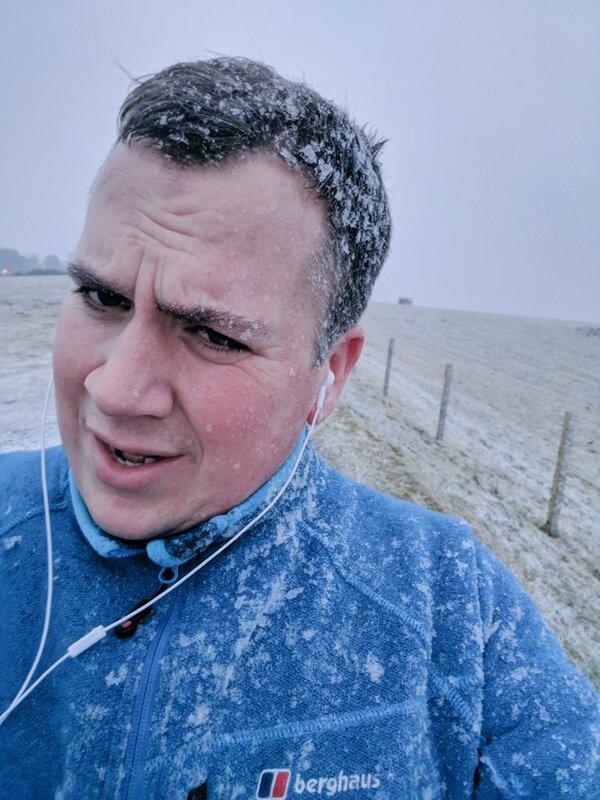 Kicking us off on the 1st Jan 2018 was last year’s Outstanding Achievement Hero Award winner Johnathan Laird who, for the second year running, has taken it upon himself to run 5k every day in January (10K if he raises over £100 in one day). 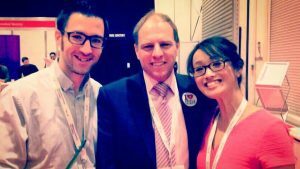 Johnathan has once again smashed his target raising over £1k for Pharmacist Support. Inspired? 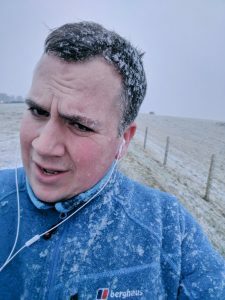 Why not read his Fundraising Hero Profile here and see why he’s braved the Scottish elements to raise money for us. In May our PCPA trio will be taking on a cycle challenge with a difference! Robin Conibere, Helen Kilminster and Graham Stretch will be cycling from Royal Pharmaceutical Society HQ at Tower Hill, London to the Eiffel Tower in Paris on a triplet bike (that’s a three seater to me and you). These crazy PCPA cats are taking on the 156 mile ride in order to raise money for Pharmacist Support and MacMillan Cancer Support. Practice ride photos (and videos?!) to follow we hope! Take a look at their Fundraising Hero Profile to see what’s motivated them to take on such a challenge and donate to their fundraising page here. Full bodied with a fabulous bouquet! 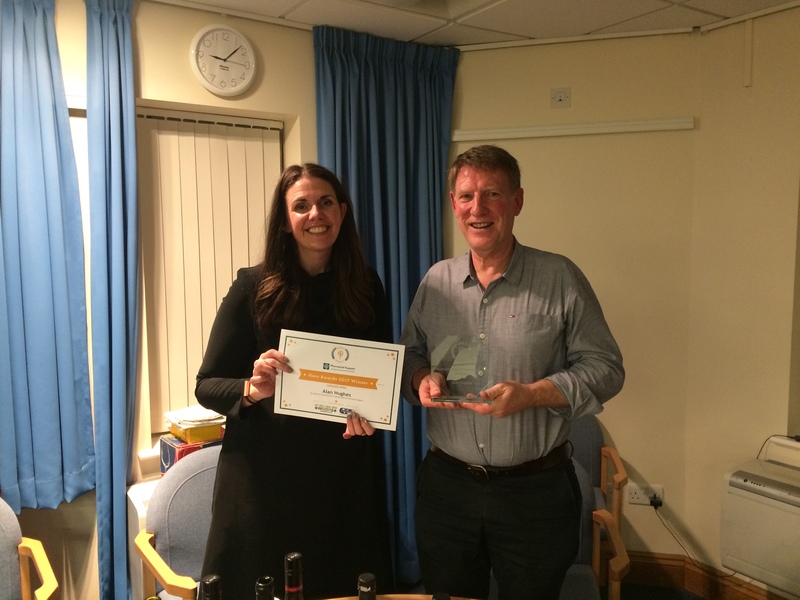 On November 24th last year the Gogledd Cymru North LPF once again held a festive wine tasting fundraiser for Pharmacist Support. The event has become somewhat of an annual fixture in the PS calendar and at the helm as usual was Alan Hughes, who as a card carrying Wine & Spirit Education Trust expert guided us through his fine selection of wines for the evening. Unable to attend our Hero Awards earlier in the year, the event was also an opportunity for PS Chief Exec Diane Leicester-Hallam to present Alan with his long overdue Unsung Hero Award. The evening raised an impressive £200 for the charity taking the cumulative amount raised by Alan over the years to over £2,500. Murder Mystery Nights & Green Students! Kick starting our student activities for 2018 were our new Student Ambassadors at Strathclyde University. 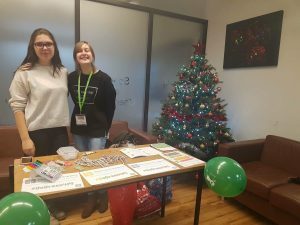 The team there held a Murder Mystery evening on 15th January raising £70 for the charity and this will be closely followed by a ‘Wear Green for PS Day’ on Monday 26th February organised by our Student Ambassadors at University of East Anglia. We would like to take this opportunity to welcome to the PS family our new Student Ambassadors across the country, who, having only joined the team a few months ago have already been busy hosting careers events, quiz nights, golf tournaments, bake sales, pre-reg info events, raffles and selling Christmas candy canes. We now have 12 Universities signed up to our Student Ambassador scheme. If you or your University would like to get involved, please get in touch. So – any thoughts yet on how you can do your bit to support the charity in 2018? We’ve plenty more ideas on our website, but if running is your thing (or you’d like it to be! ), well look no further. We have guaranteed places available in the some of the country’s most popular runs from marathons to 10K’s, so don’t miss your chance to secure one of our coveted spots! 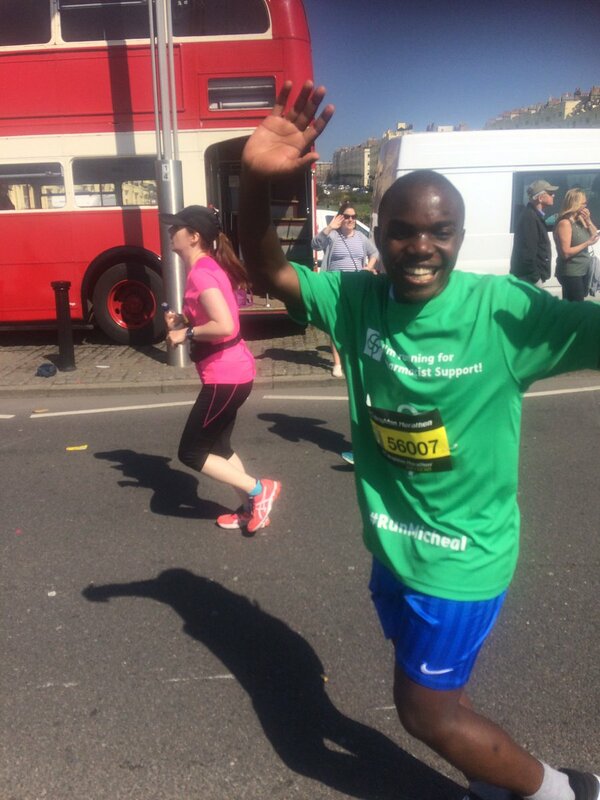 The Brighton Marathon takes place Sunday 16th April, which happens to be Pharmacist Support’s 177th Birthday (talk about an incentive)! Minimum sponsorship to raise for the Brighton Marathon is £500 (including Gift Aid). Find out more about how to enter here. The Great Manchester Run takes place on Sunday 20th May and the Vitality British 10K London Run on Monday 28th May. Each event has minimum sponsorship target of £200 so what are you waiting for? Start the year as you mean to go on and sign up now! We want to say a HUGE thanks to all of our fundraisers and to everyone who supported them. You have given us some truly inspirational fundraising moments! If you have been inspired to take on a challenge of your own then why not take a look at our Events and Challenges page and sign up today!